You recently published an article by Harvey et al. (Internet blogs, polar bears, and climate-change denial by proxy), which maliciously made a variety of defamatory and untrue allegations against me. These false allegations include: that I have no published peer-reviewed papers on polar bears, that I have manufactured my expertise, that I criticize polar bear researchers without supporting evidence, and that I have ignored or misrepresented science. Over and above these accusations and allegations being untrue, defamatory and malicious, the paper misrepresents my actual expertise. The paper pointedly leaves out the fact that I am a professional zoologist with a Ph.D. and over forty years of experience and dozens of peer-reviewed papers on various topics, and also fails to mention that I have recently published a detailed academic critique on the issue of polar bear conservation status. You (referring here, and below, to the journal collectively with the authors) falsely alleged that I have no expertise on the subject of polar bears. The paper fails to mention that my Ph.D. dissertation on speciation included polar bears: the paper only says that the Global Warming Policy Foundation describes me as “an expert on polar bear evolution” (as if this is probably a lie). Zoology is the relevant general field for the study of polar bears. My particular specialty of evolutionary theory has a zero field or laboratory component but that does not mean I am not a qualified zoologist, or that I lack expertise in polar bear biology. In addition to my dissertation that features polar bears, I have an article on evolution in a peer-reviewed journal in which polar bears are prominently featured (Crockford 2003), and two official comments, with references, on polar bear hybridization (which is how official responses to published papers are handled in these two journals). I also have a paper in a peer-reviewed book chapter on ringed seals, the primary prey of polar bears (Crockford and Frederick 2011), and a peer-reviewed journal article on the paleohistory of Bering Sea ice, the habitat of Chukchi Sea polar bears (Crockford and Frederick 2007). Crockford, S. J. 2012. Directionality in polar bear hybridization. [Official comment with references to Hailer et al. 2012], Science 336:344-347. Crockford, S. J. 2012. Directionality in polar bear hybridization. [Official comment with references to Edwards et al. 2011], Current Biology 21: 1251-1258. 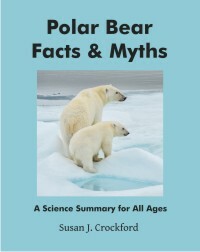 While it is true that these peer-reviewed papers are not the result of field research on polar bears and most do not focus exclusively on polar bears, they do deal with the history of polar bear habitat, the ecology and physiology of their primary prey, and the evolution of polar bears as a species (which requires a firm understanding of their zoogeography, ecology, genetics, physiology, behaviour, and life history). I don’t believe that the definition of a peer-reviewed paper on polar bears implies it be only about polar bears. These topics are all valid and important aspects of polar bear biology and cannot be dismissed as irrelevant to my zoological expertise as it pertains to this species. The citations to these papers are listed on my blog “about” page. I have never claimed expertise based on field experience. My expertise comes from an intimate knowledge of the veritable mountain of polar bear and Arctic sea ice literature that I have studied for more than a decade. To my knowledge, no one else with a background in zoology outside the rather insular circle of polar bear field researchers has bothered to take on this task, and thus no one else has been able to critically comment on recent polar bear papers and reports with reference to previous work. In January 2017 I published a detailed scientific critique on the issue of polar bear conservation status (Crockford 2017) that demonstrates my extensive knowledge of the relevant literature. One might disagree with the conclusions of the paper but it is indisputably a scientific paper in structure, tone, and content. It was peer-reviewed by several well-qualified colleagues before publication (and revised accordingly) but was not peer-reviewed again by the PeerJ organization, as is their policy. The journal does, however, provide an easy venue for online review by colleagues. None of the polar bear researchers whose work I criticized have posted a review or comment in the 10 months it has been available. Harvey et al. state: “…scientists such as Crockford who are described as “experts” on denier blogs in fact typically have little in the way of relevant expertise, and their expertise is often self-manufactured to serve alternative agendas.” The implication that I have self-manufactured my expertise is simply malicious, and an egregious breach of professional ethics. Due diligence requires that before making allegations of lack of expertise on polar bears and self-manufactured expertise, you should have contacted me. It is professionally inexcusable that no one emailed or phoned me, either prior to submission of this paper or while it was in review, about these accusations. Contrary to the quoted statement above, all of my blog posts contain the evidence to support critical comments I’ve made, or provide links to previous posts where that evidence is supplied. Example a) Crockford (2017, cited above) is a fully referenced document that supplies all of the evidence needed to support the conclusion that Amstrup and colleagues’ model of polar bear demise with diminishing sea ice is a failed hypothesis. Example c) In a 2014 post, I criticized Steven Amstrup for his continued promotion of his model predicting the demise of polar bears due to sea ice loss when he knew that a high-level member of the IUCN Red List had harshly criticized the validity of his work: https://polarbearscience.com/2014/11/29/amstrup-knows-his-polar-bear-predictions-are-flawed-but-continues-to-promote-them/ I quoted directly from Polar Bear Specialist Group (PBSG) documents available online and posted the entire documents for confirmation. Evidence provided in that post is substantiated here by emails to and from US federal government members of the PBSG (obtained via FOIA requests to the US Geological Survey and the US Fish and Wildlife Service by the Energy and Environment Legal Institute, E&E Legal, and the Free Market Environmental Law Clinic, available on request) and sent to me by lawyer Chris Horner in 2014. Until these documents arrived via email, unsolicited, I had no knowledge this FOIA had been initiated. I did nothing with them at the time but reveal them now, with permission. These emails show that the IUCN Red List official discussed in my blog post (Dr. Resit Akçakaya, “Resit” in the emails, Professor in the Department of Ecology and Evolution at Stony Brook University, a modeling expert) not only spoke in disparaging terms about Amstrup et al.’s 2007/2008 model that was used to justify placing polar bears on the US endangered species list (“…he [Resit] says it has very little value for anything”), he warned the PBSG that if they insisted on basing their 2015 polar bear assessment on the same model it would be rejected and polar bears would be declared “data deficient” – a result that would be “like a catastrophe” according to member Øystein Wiig, the PBSG assessment chairman (Natural History Museum, University of Oslo). The emails show several of Amstrup’s PBSG colleagues (if not all of them) had been aware of this harsh criticism since 2012. These email records demonstrate that I am not the only one to harshly criticize Amstrup’s work and that the best available science was not used to support the ESA listing in 2008. As early as 2012, Akçakaya’s scathing opinion of Amstrup’s model was known to several (if not all) PBSG members including Amstrup. Akçakaya’s critique is absolutely damning for the validity of the ESA listing: it indicates that USGS biologists did not use the “best available science” in supporting the listing of ‘threatened’ – it used a method considered to be scientifically inadequate for assessing a future threat. Akçakaya’s criticisms were not made public, however, and the same flawed method was used again in 2014 to uphold the ESA listing, based on the same type of Bayesian Network model as Amstrup et al.’s 2007/2008 version, with the addition of opinions from four additional experts (Atwood et al. 2014, USGS Open File Report 2014-1254). The 2015 Red List assessment used a completely different method (Regehr et al. 2016, Biology Letters). While Amstrup was clearly outraged at his IUCN Red List colleague, Akçakaya had the balance of power and Amstrup could not retaliate. Amstrup appears to be even more outraged over the criticisms expressed in my 2017 paper (Crockford 2017) but this time, he engaged with 13 other colleagues to belittle my work and scientific reputation in print. The editors of Bioscience assisted Amstrup and his colleagues in that objective by publishing the paper, made worse by making it an “Editor’s Choice”. I have “downplayed” the contribution of summer sea ice loss to polar bear population declines in the Southern Beaufort Sea (I presume they mean the “Southern Beaufort Sea” subpopulation, as there is no “Beaufort Sea” population) because Amstrup, Stirling, and other researchers have themselves downplayed the well-documented effects of thick spring ice conditions on polar bear population declines between 2001 and 2010. Thick spring ice conditions in 2004-2006 (which have occurred in this region about every 10 years since the 1960s with devastating results on polar bear numbers, documented by Stirling and colleagues in various papers, which I have cited numerous times in blog posts and in Crockford 2017) occurred in the middle of the polar bear population survey period. However, because summer sea ice had also occurred over that period, a correlation was made between loss of summer sea ice and population decline. The paper reporting the population decline from 2001-2010 (Bromaghin et al. 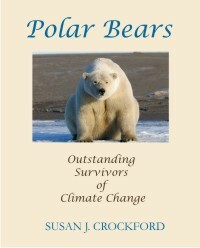 2015) acknowledges that the population began to recover after 2007 (described in this post, with quotes and references) https://polarbearscience.com/2014/11/18/s-beaufort-polar-bears-largely-recovered-from-known-2004-2006-decline-says-new-study/ ), even though 2007 was the first markedly low sea ice year. There has not been another population count since 2010. My primary issue with Amstrup and Stirling is that none of the models that predict a future outcome for polar bears take the documented negative effects of thick winter and spring ice (as well as thick snow cover over ice in the spring) into account, phenomena that are documented for a few regions but almost certainly relevant to all. Amstrup and Stirling ignore these important impacts on survival and instead focus exclusively on summer sea ice loss. Crockford (2017) explains these issues thoroughly, as do my blog posts on this topic (with references and quotes from original documents, summarized in this post: https://polarbearscience.com/2013/07/04/great-polar-bear-red-herring-in-the-southern-beaufort/ In other words, this is a professional, scientific disagreement: it is not an attempt to sow scientific uncertainty. Therefore, the claim that “Crockford’s blog frequently extracts partial research out¬comes and portrays them as contrary to the documented effects of AGW on sea ice or polar bears—supporting a “scientific uncertainty” frame” is without merit. I am not “linked with” nor do I “receive support” from The Heartland Institute or any other corporate-funded think tank. I was paid $750 a month from 2011 to 2013 (through a contract, not a salary) to make summaries of published papers relating to vertebrate animals that I thought might not be covered by the next IPCC report. These summaries were to be included in the NIPCC report to ensure that a balanced perspective of the literature was available to the public, which the Heartland Institute published. I chose which papers to examine and what to write. The monthly payments ended (as did the contract) when my work on the NIPCC report was finished in early 2014. I have not received any money from Heartland since, except for travel expenses to their 2017 conference. The Global Warming Policy Foundation has occasionally paid me for summary papers and video content (see item 1b above, for example), just as science magazines that publish lengthy features would do. I have also written articles for magazines aimed at general readers, for which I have also been paid. No one pays me to write my Polar Bear Science blog. One of the co-authors (Bart Verheggen) released the SI document containing the methodology on 5 December 2017, which had not been published along with the paper on 29 November 2017 on the Bioscience website. Flaws were immediately apparent in the choice of blogs used to generate Figures 1 and 2 in the paper. One outlet was counted twice (The Daily Caller, and Daily Caller), the error enhanced because this is not a blog at all but a news site called The Daily Caller News Foundation. While Harvey et al. define a blog as “a website that contains regularly updated online personal ideas, com¬ments, and/or hyperlinks provided by the writer (Nisbet and Kotcher 2013),” the lists include a website that is a scientific literature aggregator with content based on press releases (ScienceDaily), not a blog, and the aforementioned news outlet (Daily Caller), also not a blog. In addition, The View From Here has not been updated since 20 Dec 2015 and the Tom Nelson blog similarly has no recent content, being last updated 11 April 2015 (he now communicates on twitter). “I would like to say we’re at a point where global warming is impossible to deny. Let’s just say that global warming deniers are now on a par with Holocaust deniers, though one denies the past and the other denies the present and future.” Boston Globe, February 9, 2007 “No change in political climate.” Wayback Machine, http://web.archive.org/web/20070214041353/http://www.boston.com/news/globe/editorial_opinion/oped/articles/2007/02/09/no_change_in_political_climate/ ). Such damning errors and inappropriate language are appalling for something purporting to be a peer-reviewed science paper. By identifying and discussing the above issues, I do not mean to imply that there aren’t other issues that could be raised about this paper. But these are enough. You accuse me of having no expertise regarding polar bears, no peer-reviewed papers about polar bears, allege that I support a “scientific uncertainty” frame, and state that I criticize the work of Amstrup and colleagues without supporting evidence. These allegations are untrue, defamatory and malicious, but in addition, the failure to mention my Ph.D. and my recent scientific critique constitute a falsification of my expertise and work output. In addition, the purported scientific analysis is shoddy and the language used is reprehensible. I formally request that you retract this paper. I wanted you to know I had lunch with Resit today. It was very informative and we had good talks about the polar bear Red List issues. I wanted to let you know what I learned. I cc Eric since it seems the 3 of us are the most involved in the Red List issue at the moment. I also thought I should write you both in case you think of anything more specific I should ask Resit tomorrow, our last day here. I am not entirely sure of Resit’s position within IUCN (?) but I guess he is peer reviewing the proposed listings? He struck me as a very nice, smart person (with good humor, which helps). -Overall he is very negative to the Amstrup et al. model and says it has very little value for anything, or the Red List. -He said he felt if PBSG used the BN model again this time for the new Red List it would very likely NOT be accepted and the polar bear would be listed as “Data Deficient”, which he felt would be a shame and also not a good thing politically. (if we cannot figure out where polar bears get listed how can we do it for other species). -He gave me a few suggestions on what he thought would work – he wisely said to root the analysis in actual data and mechanistic things we understand and do not go crazy. I think some of these things Eric is already doing with his models, but I am not sure. -He was very positive to help us with modeling we needed or wanted his involvement or assistance. -He said he will be at a IUCN Marine Red List in Vancouver, BC this October and we could meet there if convenient. He said there are some very quantitative marine people there (shark specialists) that could be useful for us. -He suggested we discuss the issue in June at PBSG and make a small working group of people that could contribute to an analysis that can actually be used for the Red List. -He has just submitted a paper modeling warning times to extinction under the Red List criteria. That is what I learned. Between the 3 of us, this is a difficult thing to navigate in the PBSG because Amstrup plays a big role and is very sensitive about his model. We as a group will have to decide what we put forward for polar bears .. even if some are not happy. If I should inform Dag about this meeting let me know. Or, if I should ask Resit more questions tomorrow I can probably ask him to lunch again! I think Resit is leading the Petition committee in IUCN that shall evaluate all red list assessments that involve climate models. So that committee will evaluate the polar bear model assessment! I think we must accept that they will not accept the BN model! Amstrup can talk as loud as he wants but it will not help! [It?] would be very good if we could involve Resit more in the process. I suggested earlier he should be invited to Ft. Collins. I assume it is late but not impossible if he was willing. I talked to Dag [Vongraven] Wednesday. We have 1.5h for the red list stuff at the meeting. When I worked on the red list issue in 2012 I had an idea on assessing it by subpopulation and use the projected optimal habitat changes weighed in relation to subpop [subpopulation] sizes. Then the problem is to relate habitat change to population change. The big question [is] how can we use the info we have from some populations to extrapolate to other populations and into the future. I enclose the spreadsheet I started on. I hope you understand what I mean, but I am not certain how good the idea is. How would Eric’s modeling fit in hear[sic]? This would be relevant in relation to the A criteria. You could ask Resit a bit more on how to do assessments by subpopulation and expected optimal habitat change? We are allowed to come up with a range of red list categories in order to express uncertainty. Could you also ask him about the software he has developed for red list assessment. 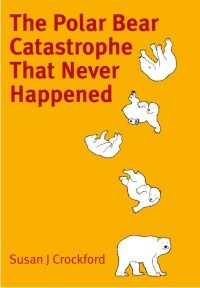 It would be like a “catastrophy” for IUCN and us if we end up with DD [“Data Deficient”]. I think a meeting with Resit would be best but I do know how to get that done. Was he at all able to come to Ft. Collins?? I think this issue is so serious that I could use any evening and night to discuss procedures with him in a small group. The way I understand you is that also Resit is concerned for the IUCN if we ends [sic] up with DD. So Simon Stewart might be willing to pay for a meeting between some of us. How many pops [populations] do we have useable that from: SB, WH and SH?? How could we actually use other response variables?? A workshop is the way to go. I do not believe a telephone conference will solve it, but it could certainly help to change focus from the BN modeling to other ways to look at the problem! What do you and Eric think about the way to go? We shall have a small reception in our new house for friends in some hours and have to prepare for that. On Monday I am occupied with lecture [sic] on polar bear conservation at the University. After that I can concentrate more on the red list issue. I wanted to remind you that the SPSC had a large number of reservations about the BN modeling of Amstrup et al. I would therefore recommend against relying heavily on that paper. Also, attached is a recent paper on another BN modeling approach that was proposed for red listing. The issues we discuss in this paper are not the same as SPSC’s reservations about the Amstrup et al. paper, but there are some similarities. I hope you have a productive meeting. I copy you my mail to Steve for information. I hope my mail does not offend him in any way. Thanks to Eric for your mail . It is very interesting what you are proposing. I rely [sic] hope you are able (will find time!) to contribute to the red list assessment with those ideas. Our deadline is June next year. I think we should try to arrange a telephone call with Resit as soon as possible, but it could be interesting to know Steve’s react ion first. We need to hear a bit more from Resit about ideas on what red list criterion he assumes we could use, if he is available for an evening call after we have discussed the red list issue at the meeting, and how we could proceed with his involvement. Do you know when the Vancouver meeting is scheduled? With regard to our presentation at the meeting I suggest I take up general issues and future plans regarding the assessment and you present the status of the GL work. Would that be ok? I have been thinking a lot on how to proceed with the red list process. The GL [generation length] issue is now taken care of through the work that are [sic] done basically by Eric and Kristin. We had a good workshop in Seattle in January and have received data from most of the requested populations. We will present GL results at the meeting. The next and more difficult step is the assessment itself, which we also were working on in 2012. Last week Kristin was at a NASA meeting in WA DC where also Resit Ackakaya was attending. Kristin knew that I had been in contact with him before and asked me if she should contact him and discuss the difficulties we feel we have with the red list assessment. I certainly asked her to do that! Kristin had a very good discussion wlth Resit and he was really interested in the polar bear issue! He repeated what he told us in 2012 and was very clear that the BN model was not suitable to be used in this red list assessment. He indicated that an assessment based on the BN model would not be accepted by the IUCN Standards and Petition Subcommittee which he chairs. The polar bear would then be declared Data Deficient (DD) by the IUCN! I think that would be dramatic for all parts involved and must be avoided! Resit has been involved in several red list assessments and was certain it was possible to do the polar bear assessment based on the data we have. We need to find some population rate data that can be related to change in population size. He was actually very willing to be involved and help us. The polar bear assessment is also very important for IUCN. Resit believed that Simon Stuart would support such a cooperation. I think it will be very important and productive to involve Resit. Then we can (hopefully ) find a way to do an assessment that is acceptable for IUCN. Resit is probably willing to have a telephone meeting with a smaller red list group in Ft. Collins to discuss this further. In October he will be at a IUCN marine red list meeting in Vancouver. It could be possible to have a small workshop with him there. I will try to have a call with him next week to learn more. So my suggestion would be to assign a small dedicated group to work together with Resit on the red list assessment. The group could meet with him in October. The group could include you, Eric [Regehr], Kristin [Laidre], Andy [Derocher], me [Wiig] and a few others that are willing to spend time on this. Looking forward to see you in Ft.Collins! Should we wait to see what Steve says before I write Resit? The Vancouver meeting is scheduled in October. I think your suggestions for the Red List session in CO sound good. I suggest Eric present the GL analysis and then he talk about this modeling plans (if he does not have it done by June). I am willing to presenc anything you guys would like but Eric is the one doing the hard work. I guess Steve will also be presenting the BN based on the request from Dag? Or maybe he will change his mind after seeing your email. Best wishes for a wonderful celebration tomorrow! This entry was posted in Advocacy, Conservation Status, Population and tagged Amstrup, emails, FOIA, IUCN, journal, models, PBSG, predictions, retraction, threatened, USFWS, USGS, vulnerable. Bookmark the permalink.